Human embryonic stem cells (hESCs) and human induced pluripotent stem cells (hIPSCs) offer unique opportunities for regenerative medicine and for the study of mammalian development. However, developing methods to differentiate hESCs/hIPSCs into specific cell types following a natural pathway of development remains a major challenge. We used defined culture media to identify signalling pathways controlling the differentiation of hESCs/hIPSCs into pancreatic or hepatic progenitors. This approach avoids the use of feeders, stroma cells or serum, all of which can interfere with experimental outcomes and could preclude future clinical applications. This study reveals, for the first time, that activin/TGF-β signalling blocks pancreatic specification induced by retinoic acid while promoting hepatic specification in combination with bone morphogenetic protein and fibroblast growth factor. Using this knowledge, we developed culture systems to differentiate human pluripotent stem cells into near homogenous population of pancreatic and hepatic progenitors displaying functional characteristics specific to their natural counterparts. Finally, functional experiments showed that activin/TGF-β signalling achieves this essential function by controlling the levels of transcription factors necessary for liver and pancreatic development, such as HEX and HLXB9. Our methods of differentiation provide an advantageous system to model early human endoderm development in vitro, and also represent an important step towards the generation of pancreatic and hepatic cells for clinical applications. C. H.-H. Cho and N. R.-F. Hannan contributed equally to this study. The online version of this article (doi: 10.1007/s00125-012-2687-x) contains peer-reviewed but unedited supplementary material, which is available to authorised users. Production of pancreatic beta cells is a major objective of regenerative medicine. An increased supply of these cells will enable the development of cell-based therapy against diabetes, which is currently limited by the lack of donated organs and difficulties with increasing insulin-secreting cells in vitro. Human pluripotent stem cells (hPSCs) of embryonic origin (human embryonic stem cells [hESCs])  or generated from reprogrammed somatic cells (human induced pluripotent stem cells [hIPSCs])  offer the prospect of bypassing these restrictions. These cells are capable of proliferating indefinitely in vitro while maintaining the capacity to differentiate into a broad number of cell types, including pancreatic progenitors [3, 4, 5, 6]; however, robust protocols allowing for the production of homogenous populations of these cells in defined culture conditions have not yet been established. Current methods involve undefined animal products such as feeders, FBS and Matrigel and only allow for the generation of heterogeneous populations of cells, thus increasing the risk of teratoma formation after transplantation [7, 8]. They also appear to work efficiently on a limited number of hPSC lines , which hinders their use in a large number of laboratories. Most of the culture systems currently used to direct the differentiation of hPSCs mimic normal development, since this approach could facilitate the generation of fully functional cell types. Consequently, the knowledge coming from studies on mice or other vertebrate animal models has been used to inform strategies driving hPSCs towards specific lineages. The pancreas and liver arise at approximately embryonic day 8.5–9.5 from adjacent regions of the developing primitive foregut under the influence of inductive signals secreted by the nearby mesoderm . These signals probably command the production of transcription factors necessary for pancreatic specification, such as HLXB9, which marks the dorsal foregut (DF) prior to the formation of the pancreatic bud [10, 11], and PDX1, which marks regions of the foregut from which the ventral and dorsal pancreatic buds arise [12, 13]. The newly specified pancreatic endoderm quickly produces additional markers, including PTF1A, NKX6.1 and SOX9, and these progenitors give rise to both endocrine (islets of Langerhans) and exocrine (acinar and ductal cells) cells of the pancreas. Similar mechanisms control hepatic specification, although they involve a different set of transcription factors, such as homeobox protein (HEX), GATA-binding factor 6 (GATA6), Prospero homeobox protein 1 (PROX1) and hepatic nuclear factor 4α (HNF4A) , and signalling pathways, such as bone morphogenetic protein (BMP) and fibroblast growth factors (FGFs) . Despite this broad knowledge, the molecular mechanisms enabling extracellular signalling pathways to orchestrate the transcriptional networks characterising pancreatic or hepatic progenitors remain to be elucidated. Especially in humans, hPSCs could present a unique advantage in completing this major task. In the current study, we screened defined culture conditions to differentiate human definitive endoderm (DE) from multiple hPSC lines into a near homogenous population of pancreatic endoderm cells. Our analyses revealed that activin/TGF-β controls DE cell fate choice between the pancreatic and hepatic lineages by controlling the levels of key transcription factors. These observations facilitated the development of defined culture systems to differentiate DE cells into near homogenous populations of pancreatic and hepatic endoderm following a natural path of development. Therefore, the method described here not only provides a unique in vitro model of development for basic studies, but also represents a first step towards the production of pancreatic and hepatic cell types for therapeutic use. hESCs (H9 from WiCell, Maddison, WI, USA) and hIPSCs (BBHX8, A1ATD-1, JRO1D; University of Cambridge, Cambridge, UK)  were passaged weekly using collagenase IV and maintained in chemically defined medium (CDM) supplemented with activin A (10 ng/ml) and FGF2 (12 ng/ml), as described previously . Differentiation was carried out as described in Fig. 1 and is explained in detail in the electronic supplementary material (ESM) Methods. The methods used for RT-quantitative (q)PCR, immunostaining and FACS analyses have been described elsewhere [18, 19] and are outlined in the ESM Methods and ESM Table 1. All data are presented as average of three independent biological triplicates and error bars indicate SDs. C-peptide ELISA (Mercodia, Uppsala, Sweden), Cyp3A4 P450-Glo assays (Promega, Maddison, WI, USA), periodic acid Schiff staining (Sigma, St Louis, MO, USA) and 1,1′-dioctadecyl-3,3,3′,3′-tetramethylindocarbocyanine-labelled acetylated LDL (Dil-LDL) uptake (Cayman Chemicals, MA, USA) were measured in triplicate according to the manufacturers’ instructions. RNA was hybridised to Illumina (San Diego, CA, USA) HumanHT-12 v4.0R1 Expression BeadChips using the manufacturer’s standard protocols. BeadChip probe sets that did not pass the Illumina signal detection statistic at a threshold of p < 0.01 in all sample replicates of at least one sample group were removed from further analysis. Array processing was performed using the BeadArray package of the Bioconductor suite of software (www.bioconductor.org) for the R statistical programming language (www.r-project.org). See ESM for more detailed methods. Differentiated cells (5 × 106) were grafted under the kidney capsule of NOD/severe combined immunodeficiency (SCID) mice using a 24G catheter attached to a positive displacement pipette. Blood samples were removed from the tail at various time intervals for C-peptide analysis. Kidneys were harvested at the indicated time points, and a section containing the grafted cells was fixed in 4% paraformaldehyde, wax embedded and processed for immunohistochemistry. Antibody binding was visualised using 3,3′-diaminobenzidine. Ethics approval was obtained for hPSCs (authorisation 09/H0306/73 and 08/H0311/201) and hESCs were imported under the guidelines of the UK Stem Cell Bank Steering Committee (authorisation SCSC10-44). All animal experiments were conducted following UK regulations under the project licence PPL60/4242. Animals were sourced from Harlan laboratories (Indianapolis, IN, USA). We recently established a defined culture system to differentiate hESCs and hIPSCs into near homogenous populations of DE cells . This culture system relies on a CDM devoid of animal product including BSA, serum, complex extracellular matrix such as Matrigel (BD Biosciences, NJ, USA) or feeder cells, thereby avoiding the presence of unknown factors that might interfere with experimental outcomes. To further extend this protocol, we screened a broad number of combinations of growth factors and inhibitors of signalling pathways to identify defined culture conditions driving the differentiation of DE cells into pancreatic progenitors. These analyses revealed that a combination of retinoic acid (RA), FGF10, noggin (a BMP inhibitor) and SB431542 (SB; an activin/TGF-β receptor antagonist) was able to induce expression of the pancreatic markers PDX1, HNF6, PTF1A, SOX9 and HLXB9 (also known as MNX1), while inhibiting the expression of gut (CDX2) and liver (AFP) markers in hESC-derived DE cells (Fig. 2a–g). Importantly, this cocktail of factors only induced PDX1 in specific basal medium (advanced DMEM) while the presence of serum, Matrigel or feeders (ESM Fig. 1a–c and data not shown) inhibited pancreatic endoderm differentiation, confirming that DE differentiation can be influenced by a diversity of factors. We then sought to validate and optimise the role of each of these additives. Absence of RA in the presence of noggin, FGF10 and SB inhibited the expression of pancreatic markers (Fig. 2a–c and ESM Fig. 1d–f), confirming that RA is necessary for the induction of pancreatic specification . Absence of noggin or addition of BMP4 at any time during the differentiation process (Fig. 2a–g and ESM Fig. 1g–i) resulted in a significant decrease in the expression of pancreatic endoderm markers while inducing gut (CDX2) and liver (AFP) markers, thereby reinforcing previous studies showing that BMP signalling inhibits pancreatic specification to promote alternative cell fate . Inhibition of FGF signalling using SU5402 (an FGF receptor antagonist) or increasing the dose of FGF10 did not affect the expression of pancreatic endoderm markers such as PDX1, SOX9 and HLXB9 (Fig. 2a–g, ESM Fig. 1j–o). However, the expression of the gut marker CDX2  was augmented and the expression of PTF1A was strongly reduced in the absence of FGF signalling, suggesting that FGF10 might block the specification of PDX1-expressing cells towards duodenum [23, 24] during pancreatic bud specification. Furthermore, FGF inhibition caused significant cell death, implying that FGFs are also necessary for the proliferation and survival of pancreatic endoderm in vitro. More importantly, we observed that the addition of activin abolished the expression of pancreatic markers while inhibition of activin/TGF-β signalling by SB had the opposite effect (Fig. 2a–g), demonstrating for the first time that activin/TGF-β signalling inhibits pancreatic specification in vitro. Interestingly, the presence of SB was only required for the first 3 days of differentiation, indicating that activin/TGF-β signalling acted on the earliest steps of pancreatic specification preceding PDX1 expression. Together, these results show that RA acts as an inductive signal driving the differentiation of DE cells towards the pancreatic lineage, while TGF-β signalling pathways (i.e. activin and BMP) act as a potent inhibitor of this cell fate choice. Based on the results described above, we established a four-step protocol to differentiate hESCs into pancreatic endoderm using defined culture media (Def-Panc, Fig. 1). During the first step (days 1–3), hESCs were grown in CDM supplemented with activin/BMP/FGF2/LY294002 (a phosphoinositide 3-kinase inhibitor) . The resulting cells were positive for the expression of DE markers including SOX17, CXCR4, HEX (also known as HHEX), FOXA2 and EOMES, and simultaneously negative for the expression of the pluripotency markers POU5f1 (also known as OCT3/4), NANOG and SOX2 and the primitive streak markers T (brachyury) and MIXL1 (Fig. 2h–m and ESM Fig. 1p–af). The second step of the Def-Panc protocol involved growing DE cells in the presence of RA/noggin/FGF10/SB431542 for 3 days (days 4–6). The resulting cells expressed HNF1B FOXA2, HNF4A, RFX6 and HLXB9 (Fig. 2i–m and ESM Fig. 1p–z), all of which mark the foregut during early mammalian development. Notably, the expression of HLXB9 and the absence of HEX expression suggested a dorsal identity for these foregut cells, while the absence of CDX2 excluded the presence of midgut or hindgut cells (Fig. 2k, ESM Fig. 1x and data not shown). In the third step of the protocol, DF cells were grown for three additional days in the presence of RA/noggin/FGF10/cyclopamine (days 7–9). The resulting cells expressed a combination of foregut markers (HNF1B, SOX2, FOXA2 and HLXB9) and pancreatic endoderm markers (SOX9, HNF6, PTF1A and PDX1) (Fig. 2i–l and ESM Fig. 1s–af). The expression of pancreatic endoderm markers was further reinforced in the fourth step of the protocol by the addition of FGF10 for 3 days (days 10–12). The resulting cells expressed NKX6.1, SOX9, HNF6, PTF1A, PDX1, HNF1B, SOX2 and FOXA2, while the expression of HLXB9 was strongly diminished (Fig. 2i–m and ESM Fig. 1a,b). FACS analyses performed at the end of step 1 showed that the DE-enriched cells were homogeneously positive for CXCR4 and after the fourth step of the protocol (day 12), 80% of cells expressed PDX1 (Fig. 2n,o). Immunostaining analyses also confirmed that PDX1 was coexpressed with SOX9, HNF6, HNF4, NKX6.1 and GATA4 (Fig. 2p–t) in approximately 80% of the cells generated. Together, these results indicate that the Def-Panc protocol drives differentiation of hESCs towards a near homogenous population of pancreatic endoderm cells following successive events of specifications reminiscent of those that occur during pancreatic development. To confirm the capacity of pancreatic endoderm cells to differentiate further towards the endocrine lineage, PDX1-expressing cells obtained at the end of stage 4 were grown for six additional days in culture conditions previously shown to stimulate endocrine cell differentiation . qPCR analyses showed that PDX1 expression decreased after 3 days, while expression of NGN3 and hormonal markers (insulin, glucagon and somatostatin) progressively increased (Fig. 2i–m and ESM Fig. 1ac–af). By day 18, 11% of cells stained positive for C-peptide (Fig. 3a). Interestingly, these hESC-derived insulin-expressing cells were able to release C-peptide upon glucose stimulation, mimicking insulin release by pancreatic beta cells (Fig. 3c). Nonetheless, the expression of hormonal markers (insulin, somatostatin and glucagon, ESM Fig. 2a–k) was relatively low when compared with that of human adult islets cells, while the expression of markers specific to endocrine progenitors was maintained (NKX6.1, NGN3 and SOX9, ESM Fig. 2a–k). Furthermore, a fraction of C-peptide-expressing cells was also positive for glucagon or somatostatin (Fig. 3b). Polyhormonal expression could mark islet cells of embryonic origin , thereby confirming that our in vitro culture conditions are not sufficient to generate fully functional endocrine cells. To overcome this limitation of the in vitro system, pancreatic endoderm cells obtained after 12 days of differentiation were injected under the kidney capsule of NOD/SCID mice to provide an environment known to favour their differentiation into endocrine cells . A low level of human C-peptide was detected in the blood stream of three out of eight transplanted animals as soon as 12 weeks after transplantation (negative control = 0.021 ng/ml; mouse 1 = 0.1 ng/ml, mouse 2 = 0.43 ng/ml, mouse 3 = 0.1635 ng/ml) (Fig. 3d). In addition, histology analyses performed after 19 weeks of differentiation in vivo revealed the presence of islet-like clusters with cells containing glucagon and C-peptide (Fig. 3e–i). Together, these results demonstrate that pancreatic endoderm cells generated with the Def-Panc protocol have the capacity to differentiate further into endocrine cells and thus represent early pancreatic progenitors. Finally, similar results were obtained with three hIPSCs lines (ESM Fig. 3), indicating that the Def-Panc protocol could be successfully used to produce pancreatic progenitors from diverse hPSCs. During screening of the culture conditions described above, we noted that DE cells grown in the presence of activin acquired the appearance of fetal hepatocytes with large darkened cytoplasmic space and canaliculi-like structures (data not shown). Further analyses confirmed that DE cells grown in the presence of activin for 5 days expressed genes marking the ventral foregut (VF), the site of liver bud formation (HEX, SOX17, HNF4A, FOXA1, FOXA2 and TBX3 in Fig. 4a–h). Conversely, inhibition of activin by SB decreased the expression of HNF4A, SOX17, HEX and TBX3, while blocking known hepatic inducers such as FGF signalling also decreased the expression of liver bud genes such as HEX, SOX17 and TBX3 (Fig. 4i–l). Surprisingly, noggin only induced a moderate decrease in HNF4A expression, suggesting that BMP signalling might have a limited function in hepatic specification in vitro. Alternatively, unknown signalling pathways could activate the same programme of differentiation. Considered together, these results suggest that the combined effect of activin, BMP and FGF is necessary to fully promote hepatic specification of DE cells in vitro. Based on this observation, we developed a three-step protocol to generate hepatocytes from hPSCs in defined culture conditions (Def-Hep, Fig. 1). The first step of the Def-Hep protocol consisted of differentiating hESCs into DE cells, as described above, while the second step involved promoting DE specification towards the hepatic lineage using first activin alone for 3 days and then activin combined with BMP4 and FGF10. In the third step of the Def-Hep protocol, hepatic endoderm cells were grown for 15 additional days in the presence of oncostatin M and hepatocyte growth factor, two growth factors known to control hepatoblast differentiation into hepatocytes. Accordingly, the cells generated with the Def-Hep protocol expressed hepatocyte markers such as ALB, AAT, αAPOF, TAT, TDO2, TTR, HNF4A and HEX (Fig. 5a–j). These observations were confirmed by immunostaining and FACS analyses, which showed homogenous coexpression of ALB, CK18, AAT and AFP (Fig. 5k–m). These cells also displayed functional characteristic of hepatocytes, such as: (i) albumin and α-1-antitrypsin secretion (Fig. 5n–o); (ii) CYP3A4 activity inducible by dexamethasone (Fig. 5p); (iii) cholesterol uptake; and (iv) glycogen storage (Fig. 5q–r). Together, these data demonstrate that activin drives DE specification towards VF-like cells and then hepatic endoderm, which has the capacity to differentiate into cells displaying characteristics of fetal hepatocytes. We then decided to take advantage of the Def-Panc and Def-Hep culture systems to study the mechanisms by which activin can control the cell-fate choice between the pancreatic and hepatic lineages. For that, we performed gene-expression profiling experiments to identify genes that were up- or downregulated by the presence of activin during pancreatic specification. These analyses revealed that activin could activate or block the expression of a broad number of genes, including HEX and HLXB9 (Fig. 6a), that are known to be essential for foregut development. Thus, we hypothesised that activin could direct DE specification by controlling the expression of these transcription factors. To test this hypothesis, we knocked down HEX or HLXB9 levels in hESCs using stable expression of small hairpin (sh)RNA. The resulting hESC sublines (shHEX-hESCs and shHLXB9-hESCs) were then differentiated as described in Fig. 1. qPCR analyses showed that knockdown of HEX levels during VF differentiation (Fig. 6b) was systematically associated with downregulation of hepatic markers such as AFP and albumin (Fig. 6c–k). A similar decrease was not observed with DE cells derived from shHLXB9-hESCs or DE cells derived from hESCs stably overexpressing a non-targeting shRNA (shScramble-hESCs) (Fig. 6c, f and i, and data not shown). However, we also observed that reduced HEX expression increased cell death during VF differentiation (Fig. 6l). Therefore, HEX expression appears to be necessary for the survival and differentiation of VF-like cells towards the hepatic lineage in vitro. Finally, shHEX-hESCs were able to differentiate into pancreatic endoderm expressing successively HLXB9 and PDX1 (Fig. 6m,n). Similar experiments performed with shHLXB9-hESCs showed that knockdown of HLXB9 levels during foregut differentiation strongly decreased the expression of pancreatic endoderm markers, including PDX1/SOX9 (Fig. 7a–g). Interestingly, a decrease in HLXB9 expression did not affect the expression of foregut makers such as HNF4A, FOXA2 and HNF1B (Fig. 7a–f), suggesting that HLXB9 is not required for DF specification while being necessary for its differentiation towards the pancreatic lineage. Importantly, HLXB9 is not expressed during hepatic differentiation (Fig. 7h), and thus DE cells generated from shHLXB9-hESCs were able to differentiate into VF-like cells and into hepatic endoderm when grown in the presence of activin (data not shown). Collectively, these results recapitulate studies performed in the mouse embryo showing that absence of HEX disrupts hepatic bud development without affecting dorsal pancreatic specification, while HLXB9 is necessary for induction of PDX1 expression in the pancreas . Therefore, they demonstrate the general application of our culture system in modelling DE development and studying early organogenesis of the pancreas and liver in vitro. Robust protocols allowing for the production of homogenous populations of liver and pancreatic progenitors from hPSCs under culture conditions compatible with clinical applications have not yet been established. Available methods often contain undefined animal products such as feeders or FBS. To address these challenges, we screened defined culture conditions to differentiate human DE into a near homogenous population of pancreatic and liver endoderm from multiple hPSC lines. The result of this screening shows that RA has an essential function in promoting pancreatic specification while BMP signalling blocks the expression of the pancreatic marker PDX1, reinforcing previous studies [21, 22]. However, our results concerning the function of FGF signalling contradict those of previous studies  by suggesting that FGF acts as a permissive rather than an inductive signal of pancreatic specification. This apparent divergence might be explained by the absence in our culture conditions of feeders, serum and Matrigel, all of which contain unknown components that are likely to interfere with FGF signalling. In addition, we observed that inhibition of FGF signalling decreases cell survival of pancreatic progenitors, thus justifying the use of FGFs in our protocol. More importantly, our analyses also revealed that activin/TGF-β controls DE cell fate choice towards the pancreas lineage by inhibiting DF specification while promoting the hepatic lineage. 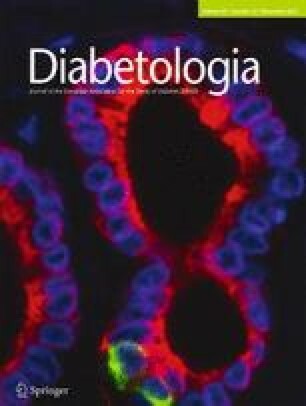 Previous studies have shown that TGF-β signalling controls ventral pancreatic bud induction in the mouse embryo  and, thus, our data demonstrate for the first time that similar mechanisms could occur in the dorsal pancreas, confirming the interest of our culture system in modelling foregut development in vitro. Interestingly, a recent report has shown that inhibition of TGF-β signalling can block gut specification induced by WNT signalling  and also promote endocrine differentiation of PDX1-expressing progenitors [28, 29]. Thus, TGF-β can control different stages of pancreatic development. Further studies will be necessary to fully understand the successive functions of TGF-β pathways during primitive tube patterning and organogenesis. Our results also show that activin/TGF-β signalling directs hepatic vs pancreatic specification by controlling transcription factors directing foregut differentiation, such as HEX and HLXB9. Interestingly, we recently identified HEX as a direct target of Smad2/3 using chromatin immunoprecipitation-sequencing analyses in differentiating DE cells , and thus activin/TGF-β signalling could ‘directly’ control hepatic specification by maintaining HEX expression during DE development. Our findings are in keeping with a recent demonstration that HEX plays a pivotal role in the induction of liver development from mouse embryonic stem-cell-derived endoderm , and the observation that transient overexpression of HEX in hESCs and hIPSCs enhances the formation of hepatoblasts . However, our findings also suggest an essential function for HEX in the early stage of hepatic specification, which differs from the results obtained with mouse embryos showing that HEX is not necessary for liver bud induction . Nevertheless, these experiments were performed either with whole embryos or with culture explant, mixing several tissues grown in culture media containing serum and unknown factors. Our culture system is based on defined culture conditions that might not contain all of the necessary factors to maintain hepatic endoderm in the absence of HEX. This hypothesis is in agreement with recent studies indicating that BMP and HEX display a synergistic effect on hepatic specification . Similarly, activin/TGF-β signalling could inhibit pancreatic specification by blocking HLXB9 expression, which is necessary for the subsequent induction of PDX1 [10, 11]. This mechanism is likely to involve other factors since Smad2/3 was not detected on the HLXB9 promoter upon DE differentiation and thus cannot play a ‘direct’ repressive function. The importance of HLXB9 also indicates that cells generated in vitro have a DF origin, since HLXB9 is not necessary for ventral bud development [10, 11]. Nevertheless, further studies will be necessary to confirm this hypothesis and to identify additional culture conditions for generating ventral pancreatic cells. Finally, these results have important practical significance since protocols currently available to generate pancreatic cells from hPSCs often rely on feeders, Matrigel and serum, all of which represent a potential source of TGF-β signalling with the capacity to compromise pancreatic specification. Moreover, recent studies have shown that endogenous levels of nodal expression might determine the capacity of specific hIPSC lines to differentiate into mesodermal derivatives . Such differences in the endogenous level of nodal/TGF-β growth factors could affect the capacity of diverse hPSC lines to differentiate into pancreatic endoderm, and the inhibition of this signalling pathway with SB could bypass this limitation. Accordingly, we recently differentiated ten hIPSC lines into pancreatic endoderm using our four-step protocol, and observed that only those hIPSC lines that failed to differentiate into DE (two out of ten) also lacked the ability to differentiate into pancreatic cells (M. Brimpari, University of Cambridge, Cambridge, UK and L. Vallier, personal observations). Another advantage of inhibiting TGF-β signalling during pancreatic specification resides in the possibility of eliminating contaminating pluripotent cells. Indeed, we and others have extensively demonstrated that inhibition of activin/nodal/TGF-β signalling induces differentiation of hPSCs . Thus, inhibition of activin during DE specification could decrease contamination by undifferentiated cells. Accordingly, we have failed to observe teratoma formation in mice transplanted with pancreatic progenitors. Therefore, inhibiting activin signalling during pancreatic specification could allow for the generation of ‘safer’ pancreatic progenitor for potential cell-based therapy. To conclude, our study could greatly facilitate the production of homogenous populations of pancreatic and liver cells in defined culture conditions for clinical applications. However, this culture system also provides a robust and efficient in vitro model of development to study human endoderm differentiation. CH-HC and NR-FH contributed equally to this study. All authors participated in concept and design of the study as well as collection, assembly and interpretation of data. CH-HC, NR-FH, KD and LV prepared the manuscript and all authors revised, edited and approved the final version of the manuscript.